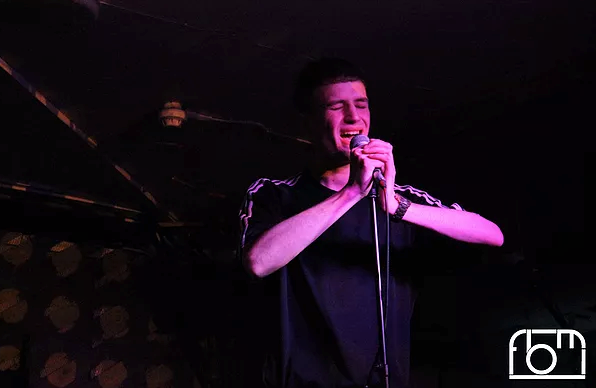 We celebrated our Concentus Music One Year Anniversary last month, and last week we had our big gig to celebrate at Notting Hill Arts Club, bringing back all our favourite bands that we’ve worked with over the last one year. Pocketclub performed a stripped back set. These guys are the ones who introduced me to this indie-electronic combination, utilising drum machines and synths to the max yet somehow keeping the live music feel to it strong, and lead singer Adem’s vocals sweet as ever – the Beyoncé love ever shining through. Kawala came back to perform with us, after smashing their headline at our first Barfly gig in January, their song ‘Mighty River’ being everyone’s highlight! A native acoustic group, with just vocals, guitar, and a cajon, the group have a really special dynamic in them. Goodbye Brighton are a new addition to the Concentus family, performing for the first time with us. Opening with their song ‘Devil In My Eyes,’ this song was recently featured on NME, so we were super excited to have them with us! Their lead singer Mia always blows the audience away at each and every gig. We’re so thankful to all these bands – Dom Robinson, Pocketclub, Kawala, and Goodbye Brighton, for celebrating our one year with us, the audience, and of course, the Notting Hill Arts Club, where we will be returning on June 9th for another night of live music – and our FIRST CLUB NIGHT! Join us then!